Sarah M. Welburn was born circa March 1857 in Blackwater, a farming community in Baltimore Hundred, Sussex County, Delaware. Like her younger siblings, Sarah was first recorded in the 1870 Federal Census. She was 14 years of age and still living at home with her parents, Mary & George Welburn in Roxana. Around 1878 Sarah married James Isaac Short, a son of Wingate Short & Mary Waples. They resided and farmed in the Baltimore Hundred for a short time. Records from the 1880 Agriculture Census show that James sharecropped on a 65-acre farm which produced 600 bushels of Indian corn, 30 bushels of sweet potatoes, 25 bushels of Irish potatoes, 100 pounds of butter, and 80 dozen eggs. By 1900, Sarah & James relocated to 109 Felton Street in Philadelphia, PA where he worked as a coachman. Records of any children born during their marriage or of Sarah's death have not been located so far. 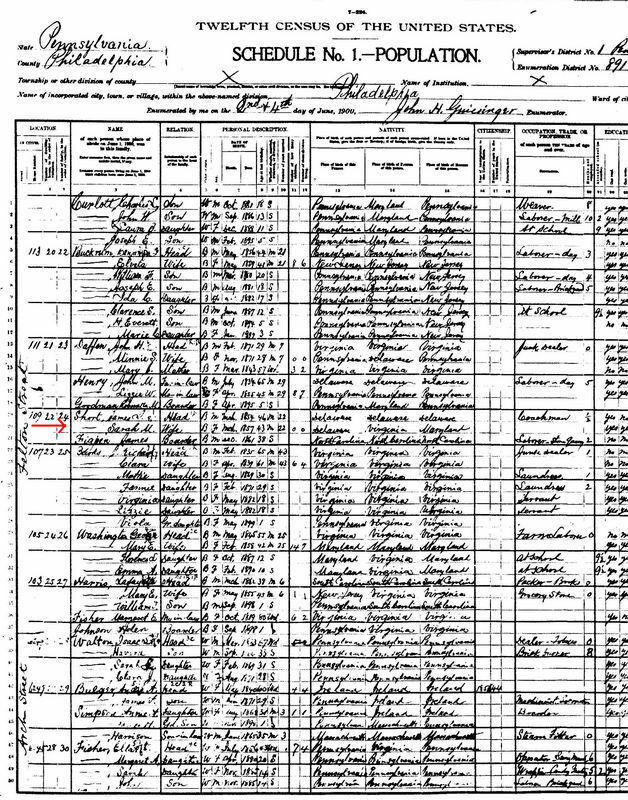 The 1900 Census is the last mention of her in public records. Sarah is presumed to have died between 1900 and 1910. In her sister Nancy Oliver's 1914 deposition, Sarah is not listed among the names of her surviving siblings.